This pattern is fully illustrated with detailed step-by-step instructions, perfect for Spring. 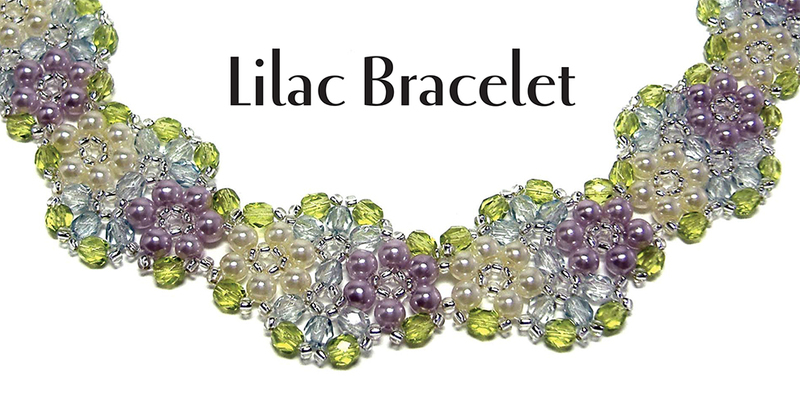 It is a variation of my Rosebud Bracelet. You can use 4mm bicone crystals instead of fire-polished beads.